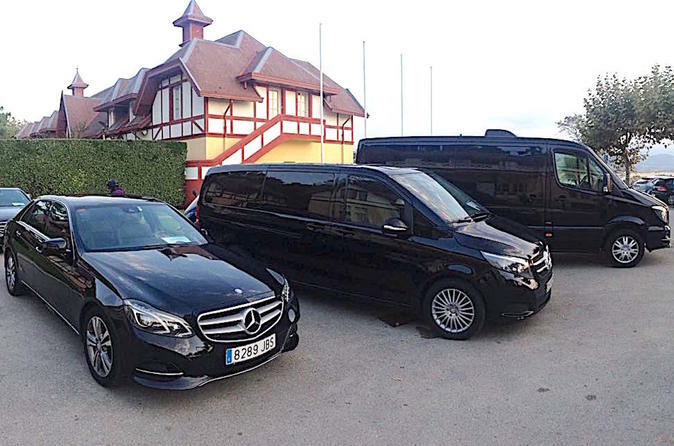 Enjoy a hassle free private transfer either from Madrid to Cuenca, or from Cuenca to Madrid, in a comfortable vehicle alongside a knowledgeable private driver who will ensure that you have a pleasant transfer service. Enjoy a reliable, professional private transfer service either from Madrid to Cuenca, or from Cuenca to Madrid. You can count on a fleet of luxury vehicles and professional drivers that are on hand 24 hours a day, 365 days a year. All transfers are provided with a professional meet and greet service. All our drivers speak fluent English and Spanish. Book ahead and have a stress free experience. All prices are per vehicle (not per person), and you can choose from 3 different categories of Mercedes-Benz vehicles at the same fixed price: Executive (E class), Minivan (V class) and Sprinter (8-passenger van).